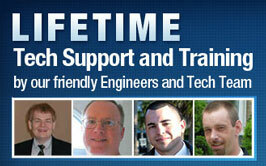 HTH Engineering, Inc. - Unlimited Concierge Support always Free! Expert Advice. Fast shipping from 5 Separate Warehouses! 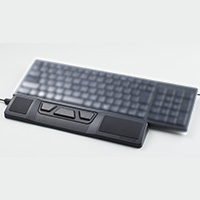 The world's most versatile Transcription System! Let the computer do the typing for you! The world just became your office. 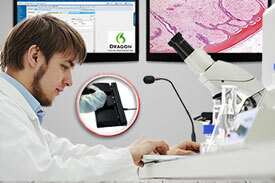 Step into the "cloud" with Dragon Medical One! 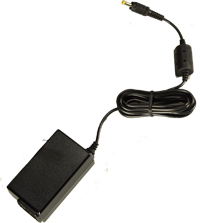 Pre-integrated for use with Dragon and certified 6/6 Star Performance. A marriage made in heaven! 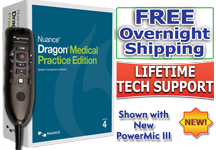 Perfect for Dragon Medical, Dragon Medical One, and Dragon Professional Group. Hand-held Pushbutton Mikes, very ergonomic! Unlimited Free VIP Support Always! It does it all very, very well. • Super-simple operation: Dictate, dock... that's all! 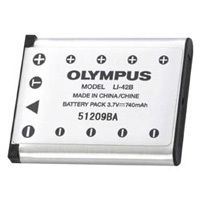 As of 10/23/2018 the Olympus DS-7000 has been discontinued and is no longer available for purchase. 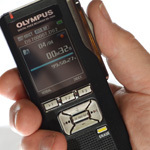 See the brand new Olympus DS-9500 and Olympus DS-9000 for the latest technological advances in Digital Dictation Recorders from Olympus. Mac OS, Citrix, and Dragon Compatible! 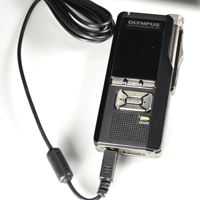 The Olympus DS-7000 Professional Dictation Recorder is the latest and most advanced recorder available today, and enables professionals to dictate reliably, with automatic emailing or transfer of recordings within the office by just docking the recorder in the included cradle. 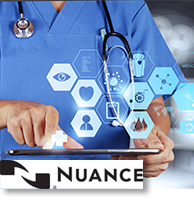 256-bit encryption for security (HIPAA medical use) as well as a 6 out of 6-Star Dragon Accuracy Score (for use with optional Dragon Naturally Speaking or Dragon Medical Practice Edition) make this the most flexible recording system available today, and will dramatically enhance your productivity and daily workflow! 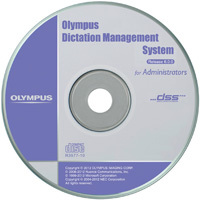 The included Olympus Dictation Software (Olympus Dictation Management System - ODMS) provides seamless, automatic, secure workflow to your transcriptionist and anywhere in the world. 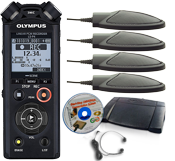 Order this Pro Digital Recorder today and get free shipping and free lifetime tech support! 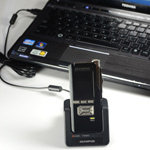 Powerful yet simple: Just dictate and dock; your dictation can be sent to your transcriptionist automatically. 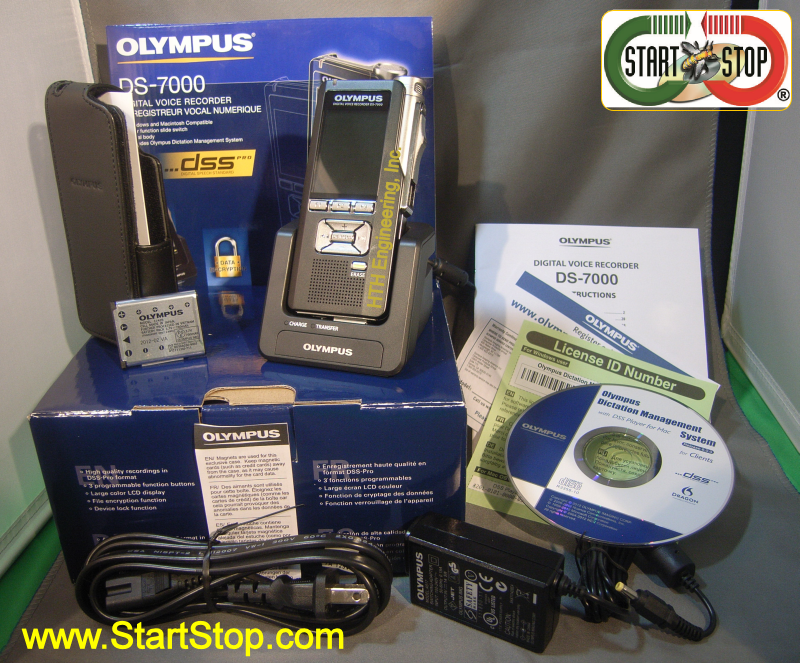 HTH Engineering, Inc. supports your purchase of the Olympus DS 7000 with friendly, expert "concierge" technical support via telephone and/or GotoMeeting™ for as long as you own the equipment. Communication is key, today more than ever before. However, with the world buzzing along at gigabit speeds, one of the biggest challenges we all face is capturing and keeping our conversations and thoughts quickly and simply. 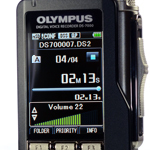 The Olympus DS-7000 professional dictation recorder helps us meet this challenge with efficiency and accuracy. Whether you are a police officer at the scene of a crime, a lawyer making notes on a case, or a journalist interviewing someone for a story, recording your thoughts in the moment is vital to success and accuracy. 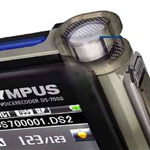 The ease with which your thoughts can then be transferred to your computer and transcribed is just one of the many advantages to using the Olympus DS-7000 Pro Digital Recorder to manage your workflow. 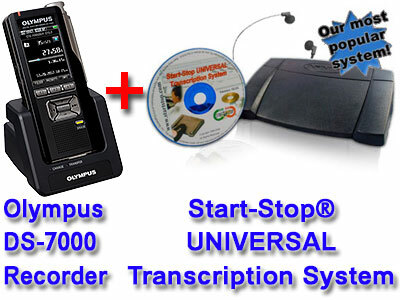 Whether you need to transcribe your recordings yourself or have an office assitant manage them, you will love the Start-Stop UNIVERSAL. 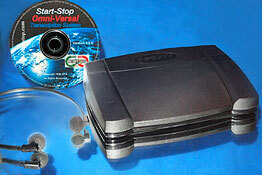 Click to learn more about the Start-Stop Universal. 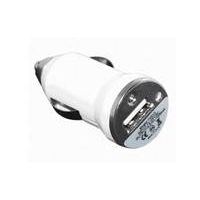 Price includes Free UPS 1-Day shipping within the contiguous United States (USA 48); applies to DS-7000 only. 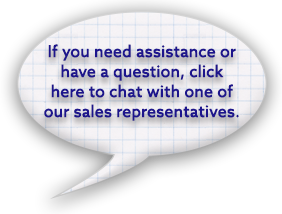 2-Year Warranty with exclusive new replacement unit guarantee within the first 90 days AND Get free LIFETIME technical support from our expert technicians when you purchase as DS-7000 from us. 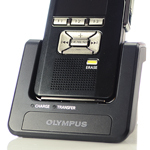 Better Business Bureau A+ rated since 2001.
or Olympus AS-7000 Transcription Kit. 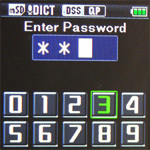 Large 2-inch LCD shows recording time, battery status, folder, time remaining, and VU-Bargraph (microphone level) dynamically while you’re recording. 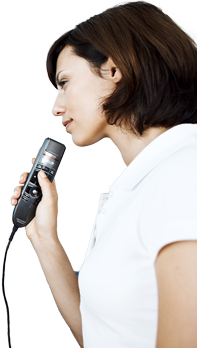 Innovative super-accurate microphone is independently housed to reduce pickup of movement and bumps. 5-star accuracy when used with optional Dragon. 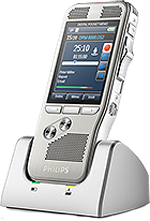 The DS-7000 is packaged with the next-generation Olympus Dictation Management System (ODMS). Send dictation to your transcriptionist in the next office or around the world, or optionally send for automatic transcription using Dragon. The 3rd-generation durable, precise slides-witch was patterned after a micro-cassette recorder, with Record/Stop/Play/Rewind on a single control. 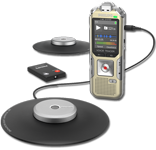 Convenient download: just place recorder into cradle. 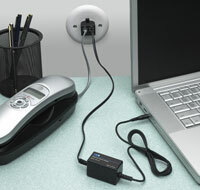 Connections for hands-free dictation control, mini-USB, and AC adapter. 8 GB External SD card 1224 hrs. 620 hrs. Folders/Messages 5 folders with up to 200 files per folder. When using ODMS Software, up to 7 folders with 200 files per folder can be created. 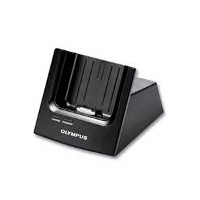 The Olympus DS-7000 is guaranteed against defects in material or manufacture for a period of 2 years from the date of original purchase. If the unit fails during the first 90 days of ownership, we'll send you a new replacement unit. Protect your investment with an extended warranty. One additional year, to include the manufacturer's two-year warranty (total of three years coverage). Money Order, or Cashier's Check for phone orders.